Specify a garage door that’s right for a home by the coast! Few architects and specifiers are aware that there is a garage door specially suitable for coastal properties. With vigorous weather and salt laden sea breezes, any build within three miles of the coast is especially vulnerable to harsh weathering and corrosion. 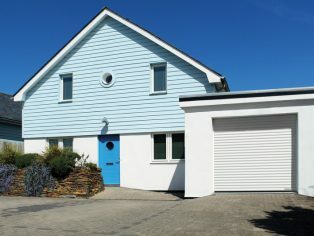 Garador’s GaraRoll roller garage door has been carefully designed and engineered to offer a number of advantages to ensure maximum protection in coastal locations. Rust resistance is key, and with GaraRoll this problem has been minimised by creating the entire curtain from aluminium. Unlike steel or timber, aluminium offers high resistance to salt corrosion and moisture damage to ensure long life even in the harshest conditions. Garador’s GaraRoll doors are also finished is a specially durable paint coating, which will keep its depth and colour. GaraRoll roller doors offer the top design and engineering excellence expected from Britain’s leading garage door maker. Garador first developed the GaraRoll concept in 2010, and recently has upgraded and improved various components and features. These include a pressure sensitivity facility built into the operator, a unique stop and reverse feature that recognises any obstruction in the path of the door curtain. GaraRoll also includes spring and twin cables to provide a smooth door action and a full hold protection against any spring or cable failure. Driveway space and storage can be a key aspect in seaside properties and here GaraRoll offers a number of real advantages. With its neat roll up design, you can park right up to the garage door, while internally GaraRoll is perfect for those wanting to maximise the use of garage storage space, offering full access to roof or loft storage. 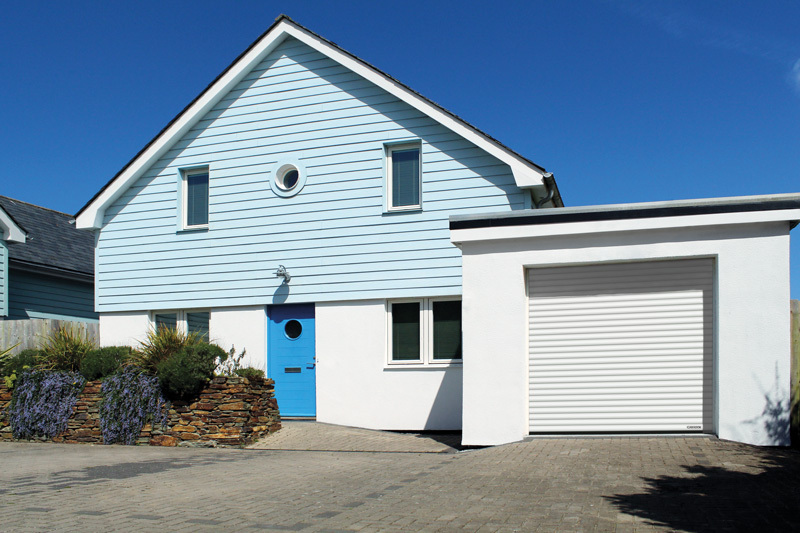 This top engineered Garador GaraRoll roller garage door comes in a wide range of colours – including of course Traffic White, a top favourite for coastal properties. The door is also available in full timber effect and Deco Paint finishes to enhance both traditional and modern style homes.